Bladder leaks can be challenging, especially in the workplace. You may find it difficult to sit through long meetings because you frequently feel the need to go to the restroom. Perhaps you feel anxious, wondering if your boss has noticed how often you visit the bathroom each day. You might even wonder if your coworkers have noticed and are talking about it. So, it's no wonder you might feel stressed not only from experiencing little bladder leaks, but also from the toll it may be taking on your ability to do your job. Katherine Puig, RN, ARNP, is an advanced registered nurse practitioner on staff at Women's Pelvic Surgery Center of Orlando, Florida. With over 15 years' experience in women's health, she offers seasoned insight into how women can manage little leaks while on the job. First, if you think there's a chance you could leak, wear an absorbent pad or liner designed just for bladder leaks. 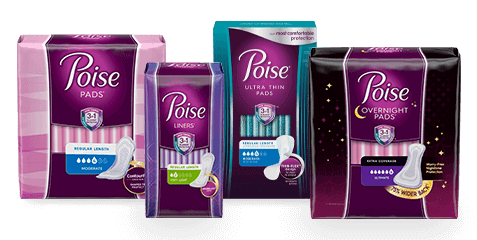 These pads and liners look and feel very similar to period pads and liners. 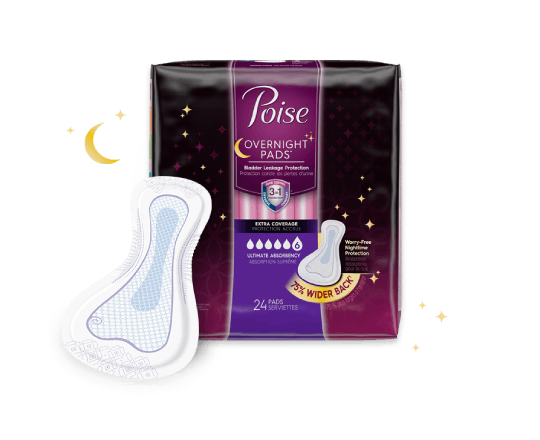 The difference is that because they are specifically designed to absorb bladder leaks, they can often hold two to three times as much urine as a period pad or liner as well as do a better job of controlling odor. That might reduce how often the pad needs to be changed each day, be less noticeable to colleagues and allow you more time to get your job done. Constipation can also contribute to bladder leakage for some women, according to Puig, who suggests minimizing your chances by drinking an adequate amount of water throughout the day (although not too much), eating an adequate amount of fiber daily, and exercising regularly. When scheduling your work day, consider adding a timed voiding plan - that means scheduling in visits to the bathroom on regular, timed intervals throughout the day. Practicing Kegel exercises while sitting at your desk or during a break can also help to reduce bladder leaks by strengthening the muscles that control urine flow. Many women also encounter workplaces with amenities that can trigger bladder leakage. One of the most common is the availability of coffee and soda pop. Although many people depend on these to stay alert and active during the workday, they're also bladder irritants. Caffeinated drinks of all kinds, acidic fruits, fruit juices and spicy food are bladder irritants as well. Puig has found alternative beverages that are still able to keep women energized without risking bladder irritation - and offers some choices at the Women's Center. To find alternatives that are right for you, Puig suggests taking a closer look at all beverage options when shopping, choosing one or two alternatives that suit your taste, and bringing them to into work. She adds that along with beverage alternatives, periodically getting up and stretching during the day will also help to fight off fatigue and energize you as well. "If you feel comfortable discussing it, consider talking with your boss or coworkers about your weak bladder so they understand why you might need to visit the bathroom more often," Puig suggests, adding "otherwise, if its more of an issue, have your healthcare provider submit documentation about it and request special consideration for frequent restroom breaks." Little bladder leaks are more common that most women think. Puig agrees, adding, "It's important to know you are not alone. A large percentage of women experience little bladder leaks during their lifetime." In fact, it's estimated that 1 out of every 3 women experience little bladder leaks. The good news is that it can be managed. By planning ahead and taking preventive measures, you can remain in control at and outside of work. LBL and Pregnancy Can I get enough calcium from foods to keep my bones strong? What foods are calcium rich?